Has your dog reached senior citizen status yet? Is he moving slower than he used to? Sleeping more? As your dog transitions from the adult stage to senior status, that doesn’t mean his life is over. You should still consider your dog’s unique needs just as you did when he was a puppy and then an adult. There are some things you can do to make sure your dog lives out his golden years. Take your dog to the vet. Just because your dog is old doesn’t mean his medical needs should not be addressed. Take your senior dog to the vet twice a year or as needed to ensure optimum health. Neglecting your dog’s routine examinations could potentially cost him his life. Keep your dog moving. A senior dog should still be exercised. Exercise will help him maintain those strong bones and muscles that you have both worked at for years. An exercised dog will also feel relief from common signs of aging such as arthritis. By this point in your dog’s life, you know him pretty well so be sure to listen to him if he giving you the signs that he’s had enough exercise. Short bouts of exercise throughout the day are recommended. Avoid long, overly strenuous activities. If you are not sure if you are providing your senior with adequate exercise, speak with your vet for some guidelines to help you. Make proper dietary changes. At this point in your dog’s life, you should really considering reducing the amount of calories that he takes in each day. A senior pet tends to burn less energy than puppies and adult dogs so you must adjust his diet accordingly. A high quality, high protein diet is still essential because protein will amongst other things keep his muscles strong. Talk to your vet about dietary supplements that will help slow the aging process. Provide opportunities for your dog to be mentally stimulated. Mental stimulation is just as important as physical exercise at this point in your dog’s life. 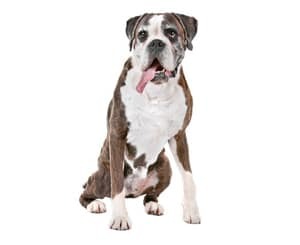 A senior dog will need interaction with you as one way to boost his brain and keep him sharp. Also, if he’s not being interacted with, he’ll be prone to depression and that’s no way for him to live out his golden years, now is it? Need some ideas? Toys and games that encourage strategizing on his part are the best. Continue to teach your old dog tricks. The old adage was completely wrong! Games like fetch and hide and seek will be exciting for him and will boost brain power. If he’s up to it, little obstacle courses are great too. Get creative and stimulate those senses! Be compassionate with your senior dog. Shower that old dog with love! Be patient and remember, he can’t get around like he used to. Illness and other signs of aging, such as loss of hearing, can get in the way of your dog responding as quickly as he used to. If you think your dog is being disobedient in his senior years, cut him some slack as chances are he’s doing the best he can. He might even get a little grumpy. Give him his space. The puppy you loved is still inside that aging old dog and he just wants your love and approval. Check Out Our Customized Pet Care services to see how we can help you with your senior dogs.